Home Storage Solutions Garden Sheds Absco Sheds Garden Shed Wall Height Options – Want a Taller Shed? When purchasing a shed you need to consider garden shed wall height options. Most sheds have a standard wall height of 1.8m. However, some models have 1.98m or even 2.1m wall height! EasyShed Garden sheds have a standard wall height of 1.82m but offer A wall height extension to 2.1m is available for all Durabuilt models except OTWs, StormSheds, pet houses, and skillion roof models. 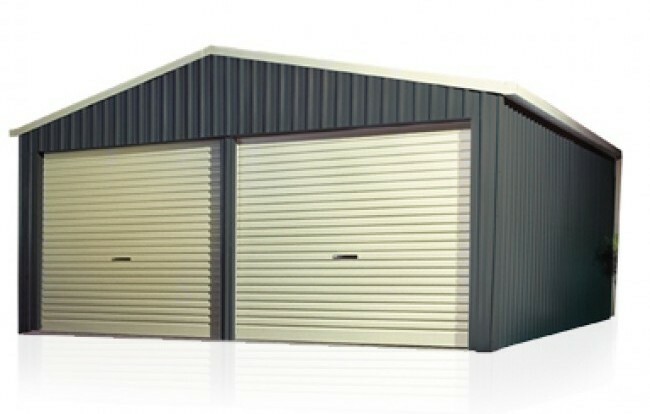 This range has the largest options of tall sheds because the hight extension is available on 90% of their range. Most of Spanbilt sheds’ wall heights are 1.8m. 2.4m, 2.7m, 3m, and 3.6m for Spanbilt garages. Absco garden sheds are manufactured with standard walls of 1.8m. They vary on gable heights ranging from 1.95m or 2.06m depending on the model. Absco offers a model with higher walls and this is the Highlander, which comes in four different sizes. Highlander wall height is at 2.035m and gable peaks at 2.3m. Absco skillion roof carports’ standard clearance is 2.06m with height extensions of 300mm and 600mm. The gable carport would have a standard clearance of 2.25m and same height extensions as the skillion-roofed. Absco garages, on the other hand, vary depending on the model. Garage wall height ranges from 2.17m to 2.65m.